About Chi-Delhi – CHI-DELHI…Be a part of QUANTUM CHANGE !! 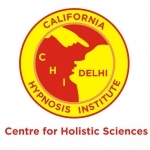 An affiliate of California Hypnosis Institute- USA, CHI-DELHI, is taking the light far and wide, initiated by Dr Sunny Satin (CHI-USA) in India in the year 2000. Ritu Singh, its founder, is a Certified Clinical Hypnotherapist and Certified Trainer of Clinical Hypnotherapy from California Hypnosis Institute – USA and registered with IBAM, Kolkata. She is also a member of European Association of Regression Therapists, (EARTH), IACH, AHA. Having done a number of training programs and workshops on Self Empowerment, Hypnosis, Behavioral Resolutions, in Bhutan,Gurgaon, Delhi, Agra, Jaipur, Bulandshahar, Surat, Chandigarh for Management Students ,ICSI, FMS, IMA, Delhi Blind School, Medical Centres , Clinical Psychologists, Teachers, Ritu Singh, has gained experience of over one decade in empowering people.Ritu Singh conducts personal empowerment sessions of all age groups within the country and outside. With Non-Invasive methods and gentle approach, she has been able to help many live their lives, happily, with renewed self confidence & functionality. Those who have been trained by CHI-DELHI, are now continuing on their paths with passion and dedication ,healing themselves and helping others to live with Confidence, Inner Strength, Awareness of Mind-Body Management, Removing Fears, Phobias, Pain, Enhancing Sports performance, Sharp Memory and much more. Certification in FERTILITY CONSULTATION and HYPNOBIRTHING from HypnoBirthing® Institute, USA, is another highlight of CHI-DELHI, which not only emphasizes its mission in empowerment but also helping couples, experiencing difficulty in Conception, which is a mind-body process, unique to each individual. Ritu works with couples as they identify and heal the barriers that exist within and must be approached with respect, dignity and support. Ritu Singh is a Theta Healing® Master and INSTRUCTOR of ThetaHealing®. ThetaHealing® is a technique that focuses on thought and prayer. ThetaHealing® teaches how to put to use our natural intuition, relying upon unconditional love of ‘Creator Of All That Is’ to do the actual “work”. We believe by changing your brain wave cycle to include the “Theta” state, you can actually watch the Creator Of All That Is create instantaneous physical and emotional healing. Her expertise in the field of Hypnotherapy and THETA HEALING® training is frequently covered by Television, Newspapers in Wellness Themes. ALL HEALING MODALITIES DESCRIBED HERE ARE MEANT FOR SELF EMPOWERMENT AND NOT MEANT TO SUPPLEMENT OR BE A SUBSTITUTE FOR PROFESSIONAL MEDICAL CARE OR TREATMENT.